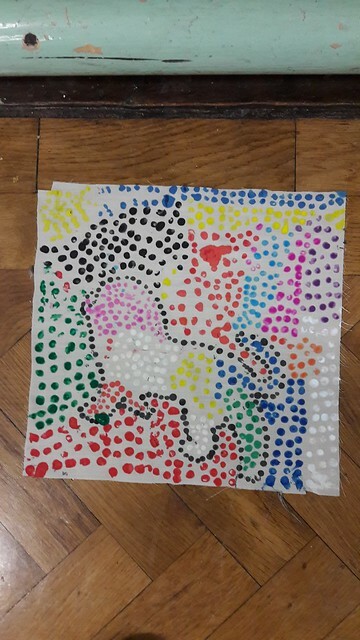 Ms.Flynn’s 1st class learnt about pointillism in Art and looked at paintings by Paul Signac and Georges Seurat. They were surprised and impressed that one painting took over two years to make. First of all, they practised painting with dots on paper using the back of a paintbrush. Then they decided to make a class quilt using this style of art. The girls all got a piece of fabric to create an animal scene and with the help of Ms. Flynn's Mum, the pieces were sewn together using an old sewing machine! A Masterpiece! Well done girls! Click on the image below to view more photographs.